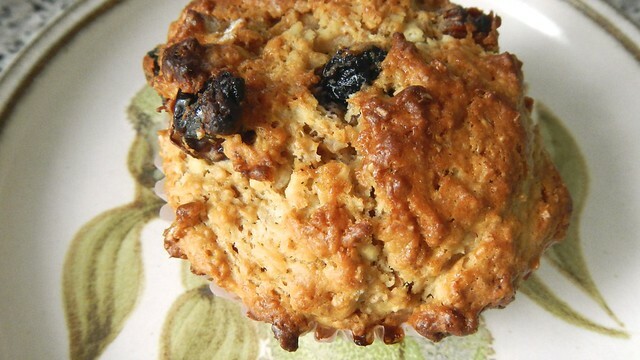 The thing I like best about muffins is that, while they’re pretty picky about how you mix them, there is no exact science as to what you mix into them. 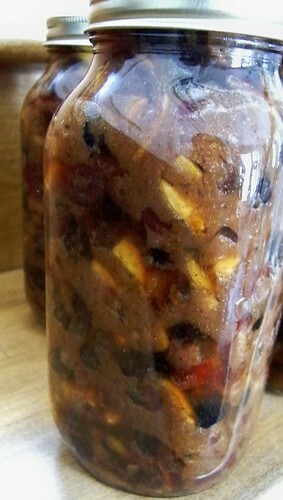 This means that every time I make a batch, I try my hardest to cram everything I can into each one. How many things? All the things. Let’s DO this. 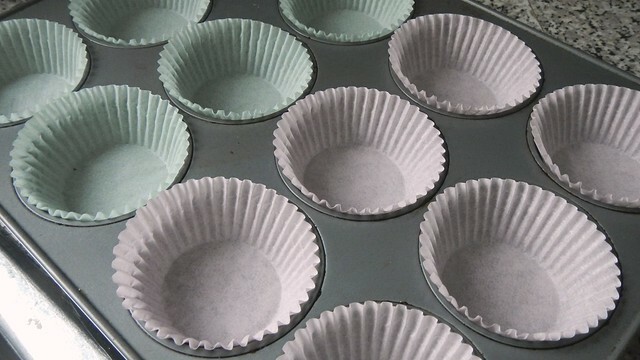 Preheat your oven to 400°F and grease a muffin tin or line it with paper liners. 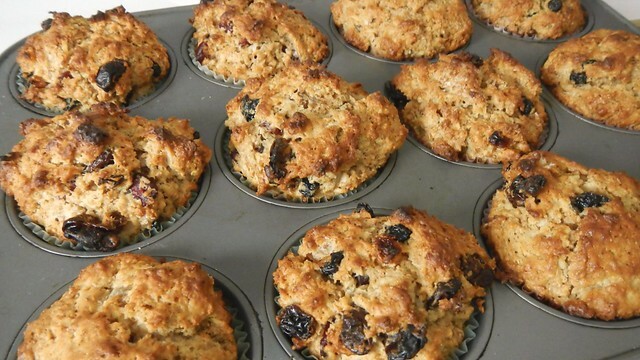 Greasing might actually work better in this situation, as I found the baked muffins were hesitant to come out of their liners. 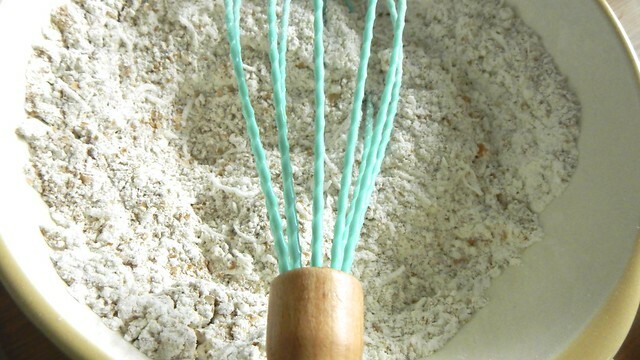 In a bowl, whisk together 2 cups all purpose flour, 1 tablespoon baking powder, and 1/2 teaspoon ground nutmeg. 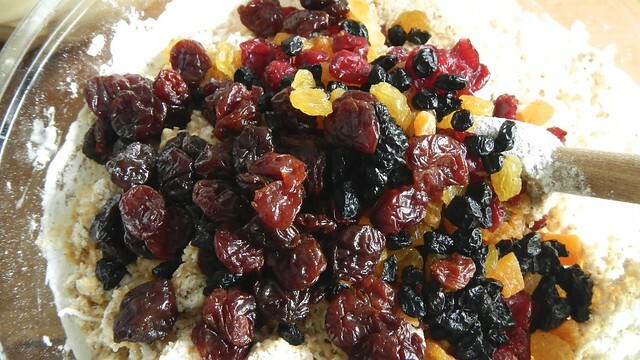 Then plop in 1/2 cup bran and 1/2 cup unsweetened coconut and stir that as well. 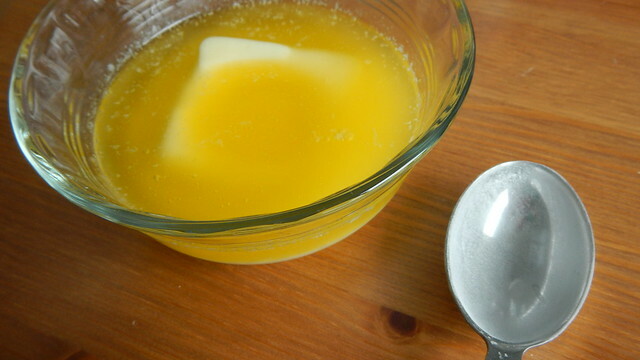 Melt about 1/2 cup butter and add it to a bowl with 2 large eggs, 1/2 cup milk, 1/2 cup yogurt (your choice), 2 teaspoons vanilla, and 2/3 cup brown sugar and give that a stir. 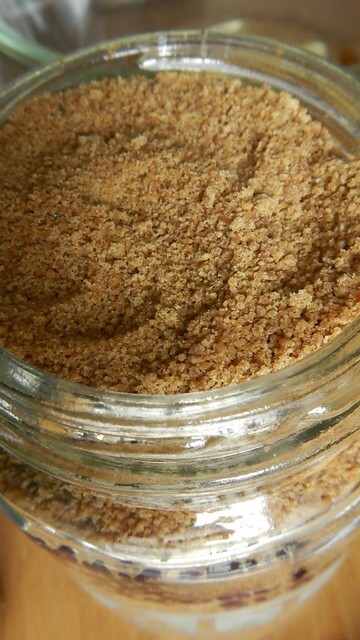 I actually used coconut sugar, because I had it on hand. I like it because it’s not super sweet. 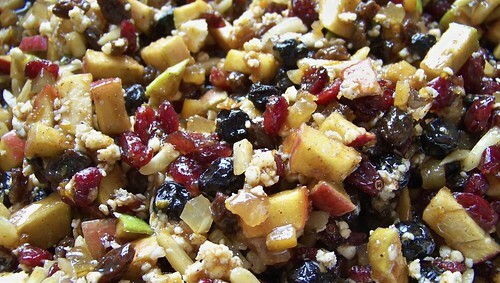 Grab a few handfuls of dried fruit and nuts, if you’d like, about 1 1/2 cups. 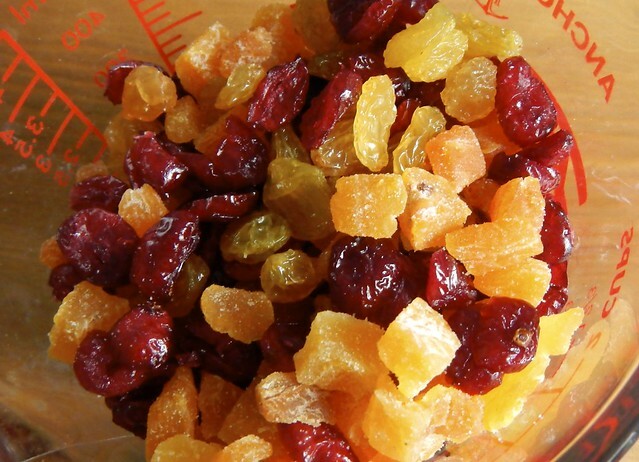 Here we have dried versions of cranberries, cherries, blueberries, grapes (raisins, duh), and apricots. 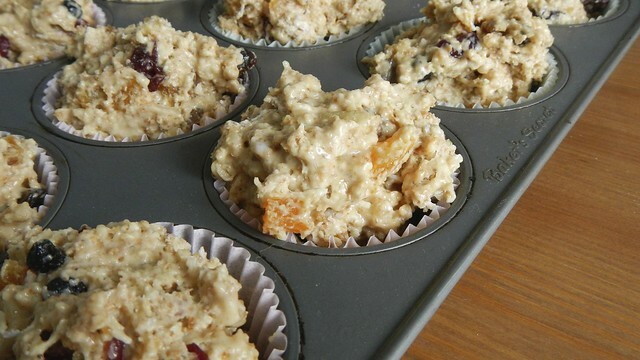 Now here’s the trick with muffins: don’t mix the wet with the dry until you’re ready to plop the batter in your baking tin. 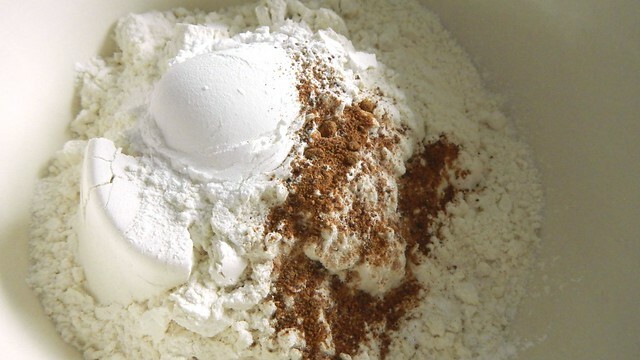 Add the flour mixture to the egg mixture and stir until just barely combined. 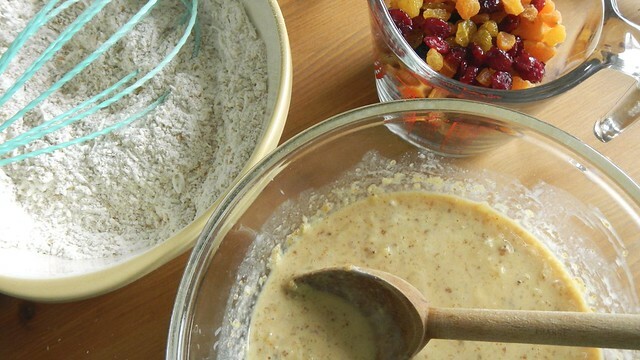 Now you can add in your fruit and stir just until it’s evenly distributed throughout. 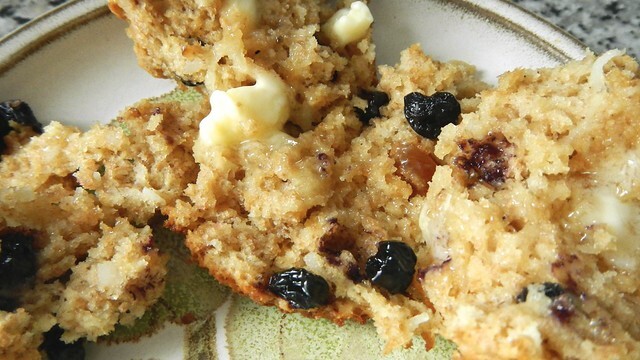 Drop the batter into your muffin tins. I ended up completely overflowing mine because these puppies don’t expand too much. Bake for about 17 minutes, until a toothpick inserted into the centre muffin comes out clean, and let cool for a few minutes. 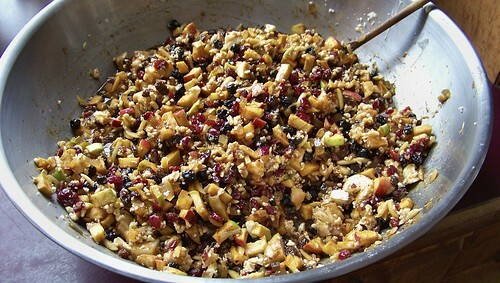 Mincemeat is to the winter holidays what chocolate and beer are to the Stanley Cup Playoffs (I’m serious. Cadbury Mini Eggs and a microbrew during the finals is to die for). 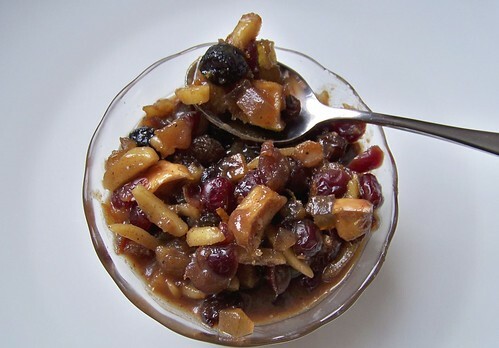 Originally a combination of dried fruits, spirits, fat, and meat, over the centuries the meat part has all but disappeared from the recipe, and now it’s more of a dessert type of thing. 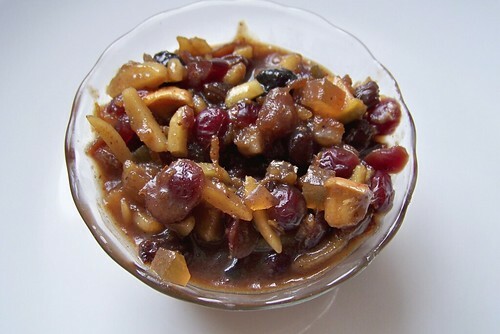 It does still employ three of the age-old methods of preserving, however: fat, sugar, and alcohol. I have adapted Allora Andiamo’s recipe from Jamie Oliver‘s website and it is incredible. I quadrupled some things, and other things I just chucked in the amount I had, so it’s not particularly faithful to Ms. Andiamo’s original recipe but I give her full credit. Give that a good stir, cover it, and leave it somewhere to marinate for about 24 hours. 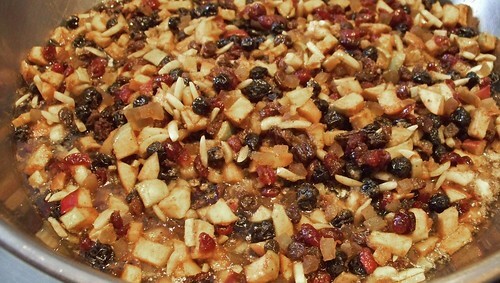 The next day, distribute the mincemeat into casserole dishes (or, if you are clever like me and used a metal bowl, don’t bother), cover with aluminum foil, and bake at 225°F for 3 1/2 hours. 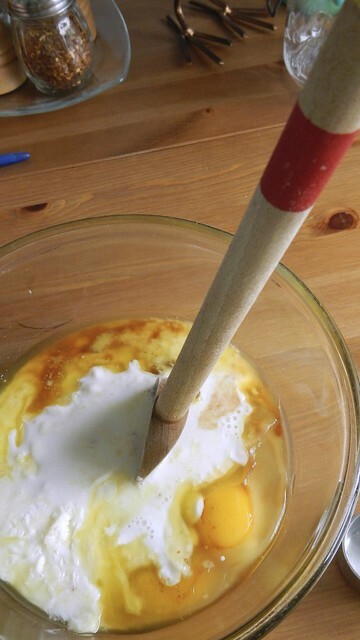 I stirred mine halfway through, just to be thorough. And also because I don’t trust anything on its own in an oven for three and a half hours. Remove from the oven and allow to cool a bit. 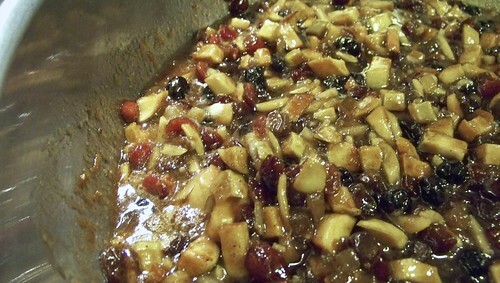 The liquid will thicken as it cools so make sure to stir it occasionally in order for the syrup to coat all the fruit. 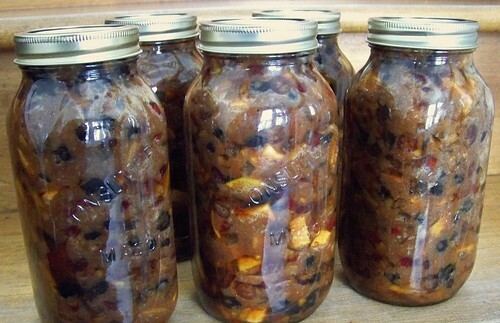 Before it completely cools, pour into sterilized jars and seal — can according to your canner’s instructions, or check out our tips to canning here. Store in a cool dark place for about 3 weeks before using.